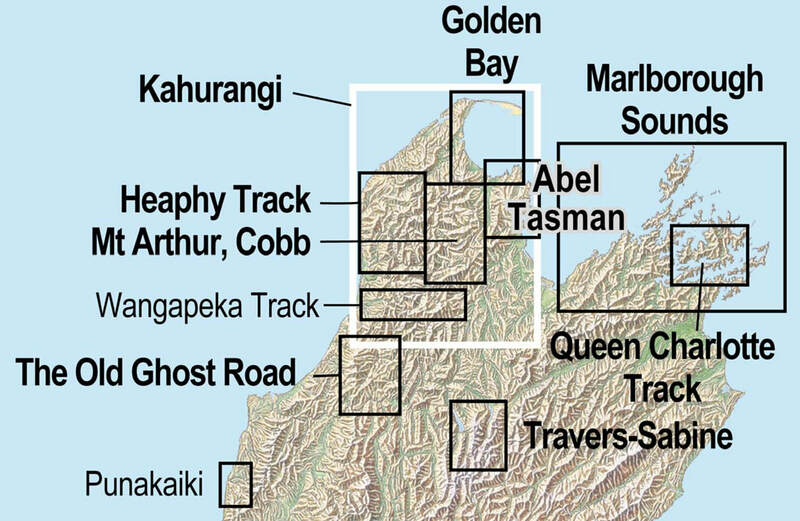 About 5,000 people walk the Heaphy Track in Kahurangi National Park each year. The map shows the full length of the track, times between huts, and access points. Also included are walks in the Oparara and Fenian areas. The limited roading and few settlements are also shown. The combination of contours and relief shading, gives a realistic landform. There is a small overlap with the Mt Arthur, Cobb map to the east.